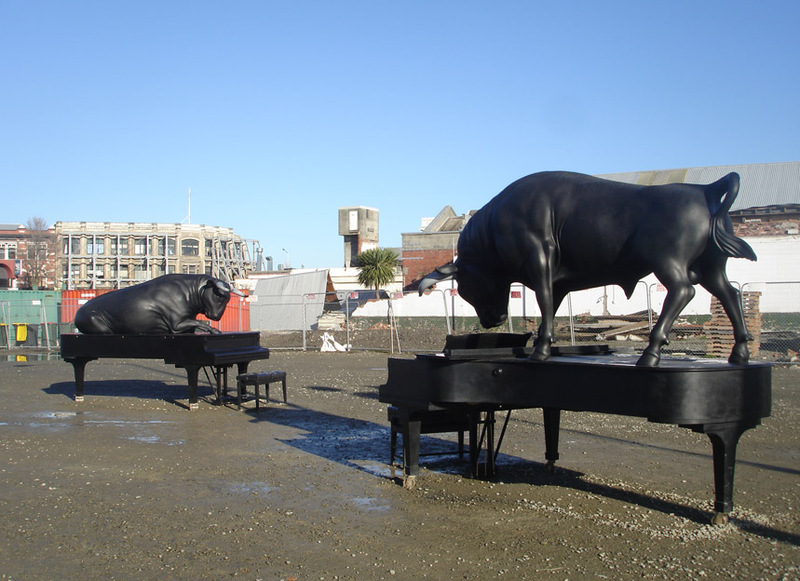 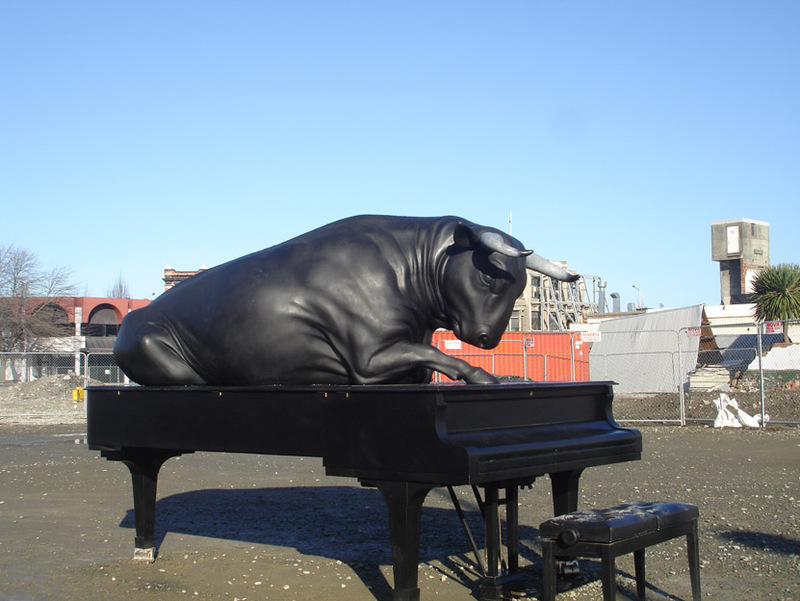 I recently went to check out the two cast bronze bulls on the corner of Madras and Tuam Street as part of a Michael Parekowhai exhibition here in Christchurch. Set against the back drop of the central city (which is still very much in the demolition/rebuilding stage) it had a very erie yet comforting effect. 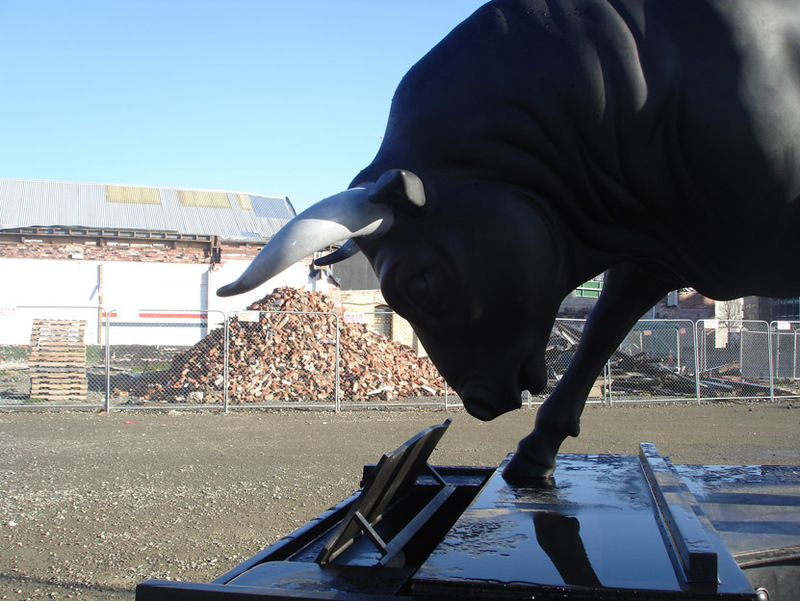 Situated one lot away from where the CTV building once stood, the bulls seemed a very kind distraction indeed - and very appropriate too, for in the face of loss and change the bull is a welcome symbol of fertility and strength for the future! Before arriving in Christchurch, they were shown at the Venice biennial and exhibited in Paris. The exhibition is based on a poem by John Keats called Looking into Chapman's Homer.